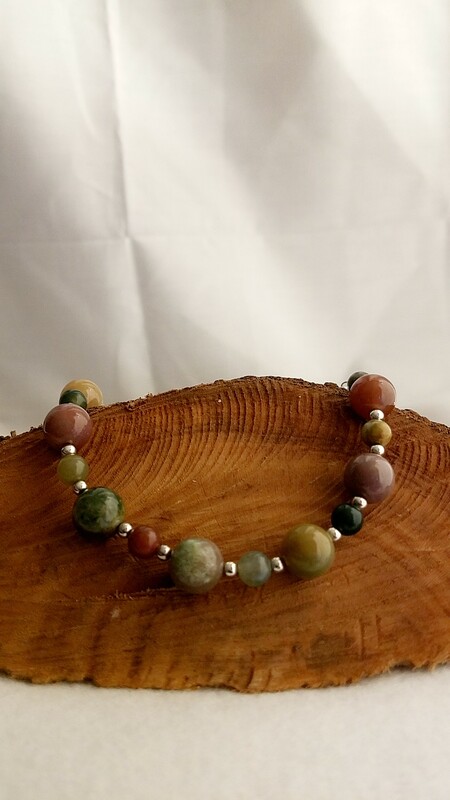 This delicious Fancy Jasper Bracelet will give you a fancy feeling. This delicious Fancy Jasper Bracelet will give you a fancy feeling, with its rainbow of fancy colors. 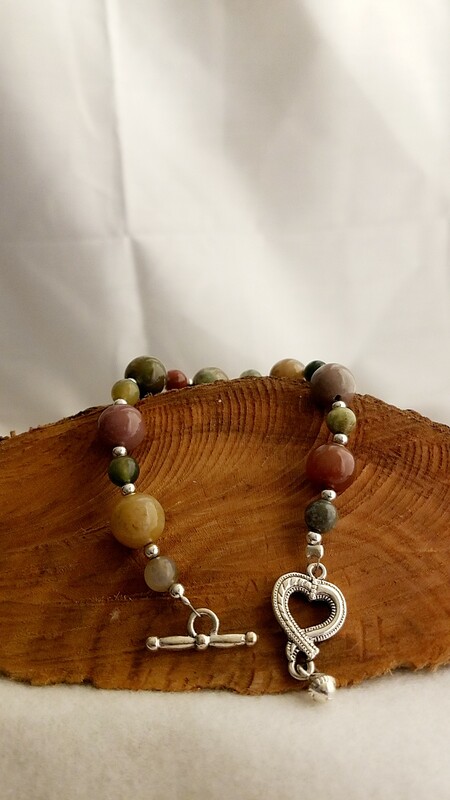 This delicious Fancy Jasper Bracelet will give you a fancy feeling. 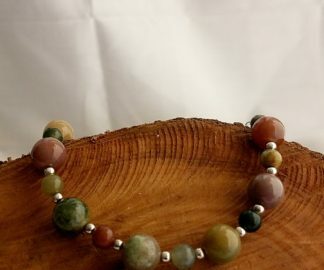 Made from Fancy Jasper that gives off a rainbow of colors including greens, blues, pinks, creams and even purples and more are the perfect wardrobe addition. A perfect gift for anyone in your life that you think would want for feeling a bit fancier. 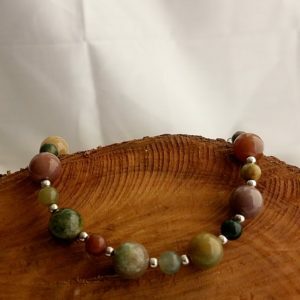 If you would like to know more about the gemstones, rings, and items that are used in making handmade items like this, Fancy Jasper Bracelet; please take a look at the Material Description Page and my Chain Maille Descriptions page. Let this Fancy Jasper Bracelet make you and your outfit feel fancy.